This inspiringly simple quote which stirs the feelings of wanderlust within us, came forth from His Holiness, The Dalai Lama. The Dalai Lamas are important monks of the Gelug school of Tibetan Buddhism. Since the end of the 16th century, the Gelug school emerged as the pre-eminent Buddhist school in Tibet. 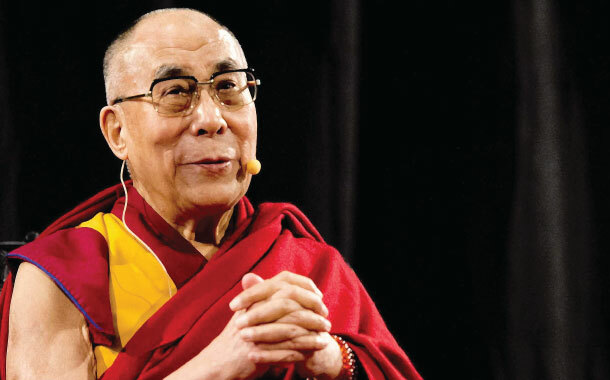 The Dalai Lama is recognised as a holy persona by the entire world. Things transpired in the homeland of His Holiness following the Tibetan uprising, leading to the Dalai Lama leaving the land of his birth. Saying goodbye to the spectacular land of Tibet, Dalai Lama made Mcleodganj in Dharmshala his home. Now there are many reasons to visit Dharmashala, affordable flight tickets being one of them; so on this auspicious occasion of Dalai Lama’s 80th birthday, we list down the top 5 reasons to visit Dharmashala. The place His Holiness picked, as his home away from home. It’s not often we come across nature’s beauty. Living in concrete jungles, we often tend to forget the sublime power of nature. But when we do find ourselves once again surrounded by luscious trees, mesmerising mountains and gushing waters, the majesty of it all takes our breath away. That’s exactly the kind of effect Dharamshala has on you, which is what makes it an important tourist spot in India. Nature’s gift to mankind comes in the form of this city in the state of Himachal Pradesh. Living in India you know how difficult it can get to find pleasant climate. It’s either too hot or too humid and never just right. Being a tropical country, snowfall is not a common sight for the most of us, that is unless if you’re living in Dharamshala. Snow and sleet is a common phenomenon in upper Dharamshala between the months of December and February, as common as humidity is in Bombay. Next time you want to experience snowfall and low temperatures you don’t need to travel to Switzerland. All you have to do is go to Dharamshala. Yes, you read that right, Dharamshala hosts an International Film Festival annually. If you’re a film enthusiast and have always wanted to attend a film festival, then now is your chance. Organised for the first time in the year 2012, it has since then become an annual event. It generally takes place in the first four days on November. Film makers both Indian and international, film critics, media personnels all make their way to Dharmashala. You should too. Along with film screenings, they even have interesting workshops and masterclasses. If you’re a movie buff the DIFF is your place to be. An ideal destination for trekkers, there are many trekking trails that set off from Dharamshala. Dense forests of pine, oak, rhododendron with the occasional lake waterfall and glaciers make it a scenic choice for a trek. Many treks begin from Dharamshala and lead you all the way to the Chamba district. The Kareri Lake near the Kareri village is a spot well known in the trekking circuits. Dharamshala is also an ideal destination for rock climbing. Trekking and rock climbing both in the same place, do adventure lovers really need any more reasons to set off to Dharamshala? Last, but not the least, one of the most important reasons to visit Dharamshala is McLeodGanj. This is the place that the Dalai Lama decided to make as his home upon his exile from Tibet. The Tibetan government-in-exile has its headquarters set up here. A high population of Tibetans has earned it the nickname of ‘Little Lhasa’. 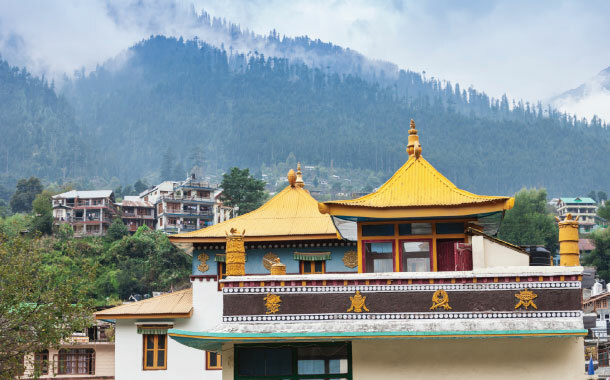 Beautiful Buddhist monasteries adorn McleodGanj, each an architectural marvel. So don’t wait, just set off to Dharamshala today. If you don’t find the words inspiring enough, then just take it on faith, because once you reach there, the place will work its magic on you. Also, there’s always the off chance you might run into His Holiness the Dalai Lama while on vacation. Though Dharamshala is an important city of Himachal Pradesh, that is not the only thing this stat has to offer. Check out how Himachal Pradesh is so much more than just mountains.